With temperatures at their summer peak, the things on people’s minds are ways to stay cool and have fun at the same time. When you add the humidity factor that is ever so present in the southeast, you have one hot summer. 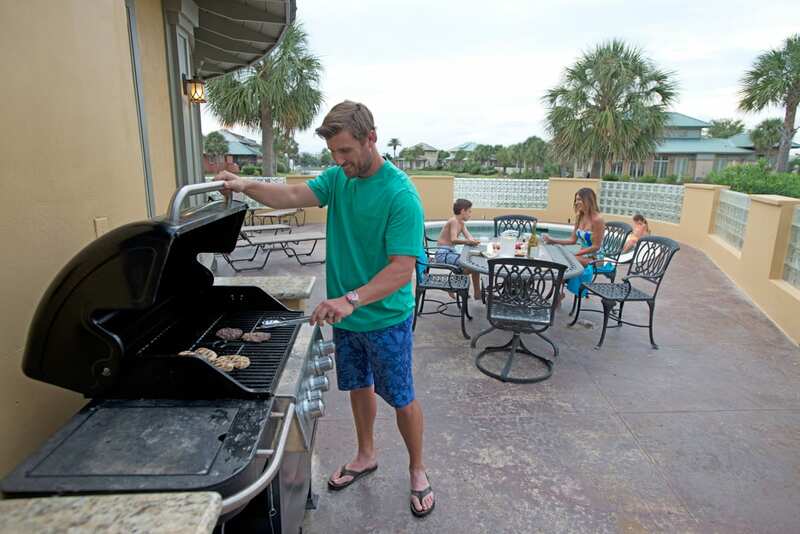 The standard attire in Gulf Shores and Orange Beach is bathing suits and flip flops so you are always prepared to make a splash into some cool refreshing water. Here is a list of four coastal attractions designed to help keep you cool this summer. Waterville USA – If you are looking to relax along the lazy river or thrill seek on one of the 17 waters slides, then Waterville should be on your list of must do summer attractions. Also included in the 20 acre waterpark is a wave pool, Shrimp Boat Village, Wa-Wa World and Flowrider. The amusement park includes Nascart Go-Carts, Cannonball Run roller coaster, mini golf, trampoline, kiddie rides and much more. Happy Harbors – Conveniently located in Orange Beach and Gulf Shores, both restaurants have watersport rentals including pontoon boats with slides, waverunners, kayaks, center console boats and more. You can get there by car or boat! We suggest you go hungry and enjoy some of their award winning oysters since they did win the 2012 Gulf Coast Oyster Cook-Off. Sail Wild Hearts – It’s no secret that Spectrum Resorts is a huge fan of Sail Wild Hearts. After all, they cruise by Turquoise Place multiple times a day. 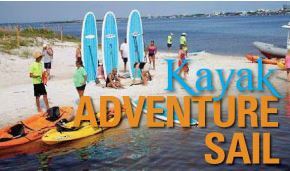 We suggest booking a Kayak Adventure Sail where you can Paddleboard, snorkel, and kayak all on the same excursion. Sail away to an island and let the fun begin. They even make it easy for all ages and sizes with a descending staircase, not a ladder. Flyboard Bama – Prepare for Liftoff and experience flying like a superhero with the newest and most exciting water sport on the Alabama Gulf Coast. Flyboard Bama is located at The Beach Club in Gulf Shores and behind Cayman Grill on Canal Road in Orange Beach. Get ready for liftoff! Beat the heat this summer and enjoy Coastal Alabama’s most popular water attractions. Share your favorite photos with us on Facebook, twitter and Instagram and use #WattsUp and your photo may be featured in our next vlog, Watts Up on the Beach.